Chinese Foreign Ministry Liu Jianchao said Thursday the cargo ship which struck a bridge tower in San Francisco has no business relations with China Ocean Shipping Corporation (COSCO). 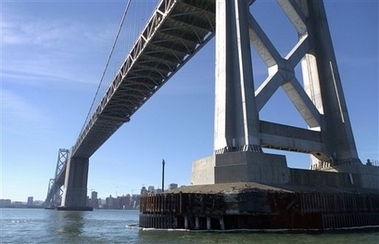 Media reports said that the cargo ship "COSCO Busan" struck the Bay Bridge in San Francisco of the United States on Wednesday last week, spilling gallons of oil into the bay. Liu said there were Chinese crew members on the freighter which was run by a company of the Republic of Korea (ROK). China hopes the incident could be properly handled soon and the environmental impact of the oil spilling could be reduced, Liu said. China had urged the US side to ensure the safety and legitimate rights of Chinese crew members, he added.